Are your January Bee Blessed blocks packed up and sent off? They were so straight forward and easy to make AND came together beautifully! I look forward to seeing the finished quilt. 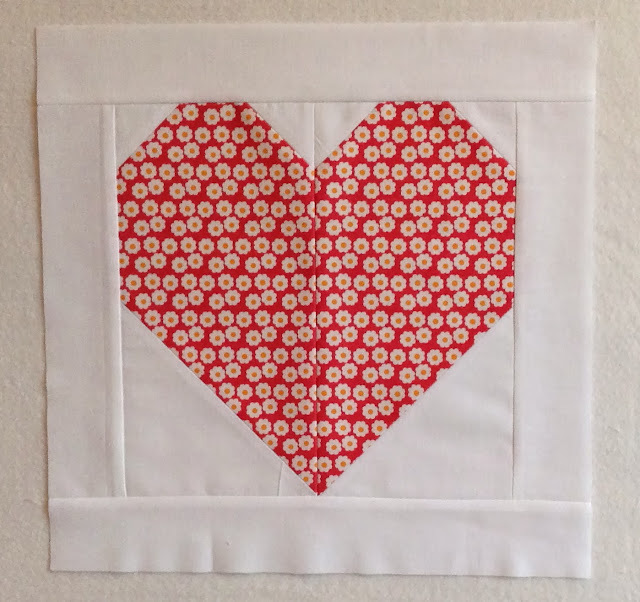 This month Sarah and Judith are asking for little heart blocks using this tutorial. Isn't that a cute block? It won't take you a minute to make, but together they will make a huge difference in someone's life. Do take a bit of time and get stitching.